At Strobe Security Solutions, we understand how important it is for our customers to feel that they have taken every precaution to provide the most comprehensive security for their homes or businesses. If you are considering the benefits of automating the gates at your premises, our engineering experience, in both domestic and commercial settings, could be invaluable for helping you making the right choice. 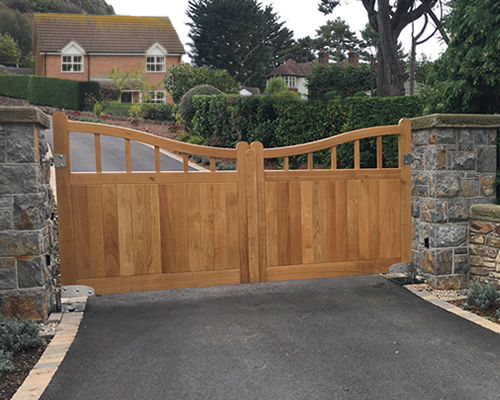 We understand that you’ll have specific needs for your automatic gate system, so to make sure you get exactly what you want, we’ll carry out a full survey of your premises before installation. Our Automatic Gate Systems are available in North Wales (Anglesey, Conwy, Denbighshire, Flintshire, Gwynedd and Wrexham) and Chester. For home owners, Strobe offers a choice of automation styles that not only performs perfectly but also enhances the look of your gates and the value of your property. Strobe can offer every type of opening device from keypad entry to a remote system that allows you to open the gates as you approach in your car, enabling you to drive straight in, without having to get out of the car and risk leaving your car running with the door open. The remote system is increasingly popular as it provides increased personal security. 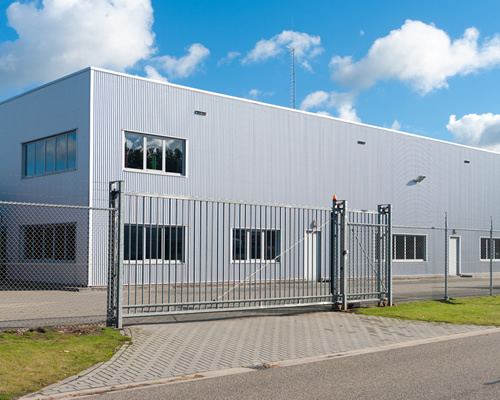 For commercial premises, Strobe offers both sliding gate and swing gate automation that can be controlled via a security officer or again by keypad or remote entry depending on the needs of the organisation. Controlled access using electric gates not only provides greater security when the premises are closed but it also means that no one can enter your site without authorisation.